Welcome to St David’s Episcopal Church and School! We are so glad you are with us. Please join us for Worship and Christian Education on Sundays or weekdays. We are the only public building in Terrell Hills other than the City Hall, and we want to be a place where the surrounding community can come to celebrate, learn, seek comfort in times of grief, and find fellowship. There are many groups that meet here, and we want to continue to be a resource for the community. 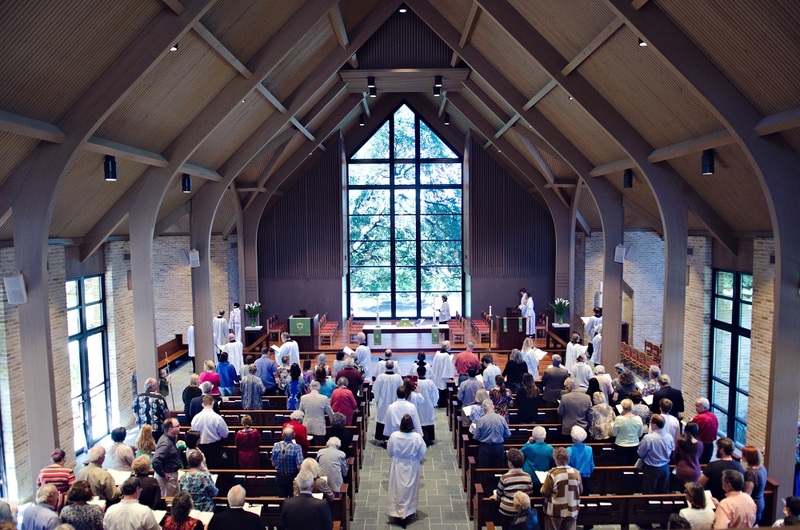 There are many ways to participate in the life of the congregation through worship; children, youth and adult choir; Bible studies; mid-week programs; feeding ministries; Exceptional Adults; mission opportunities in the community and beyond; youth activities; diocesan camps and conferences; Daughters of the King prayer ministry, plus much more. Since 1954, an integral part of the life of St David’s has included having our preschool for children ages 16 months through kindergarten. We are about the formation of the whole child mentally, physically, emotionally, spiritually, and as a community. We have an outstanding Head of School, faculty and staff. God’s presence in your life and the blessings God so freely gives to each of us. If you are seeking pastoral care, please know that you may call or email me to set up an appointment. If you need more information or have questions about any of the information in this letter, please call or e-mail the church office. Any one of us will be happy to visit with you further. Again, we are glad you are here, and we hope to see you again very soon.